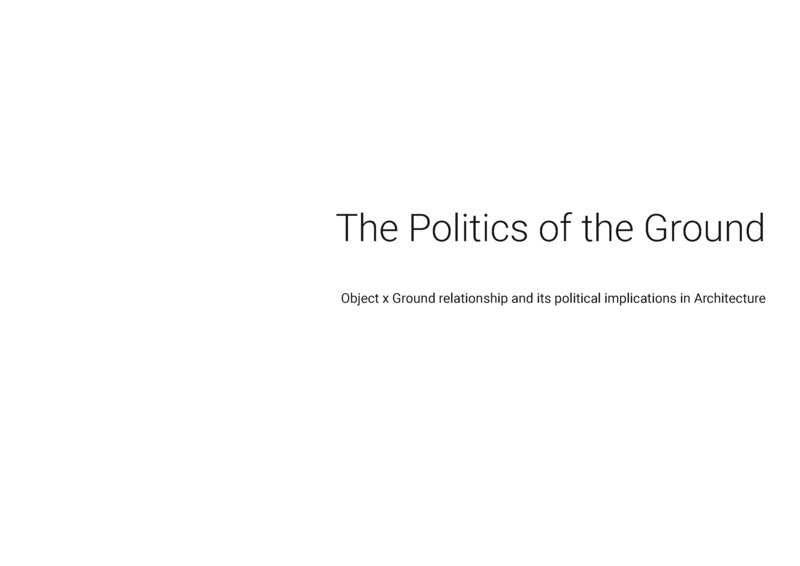 www.politicsoftheground.com The Politics of The Ground is an ongoing critical and projective research on the political implications of how architectural objects touch the ground and its implication in the city and in the usage and legal statuses of it. This is a trial of how to approach and understand architecture looking through the history of the discipline and proposing new diagrams. This research took form as a visual essay while I was studying the course Introduction to Contemporary Arts and Politics at the Valand Academy at the University of Gothenburg, Sweden, and now as a website for the occasion of The Katakombe conversation at the Staedelschule, Frankfurt, both in 2018.